Locally owned & operated, Archadeck of Charlotte has been building decks in Charlotte for over 30 years. 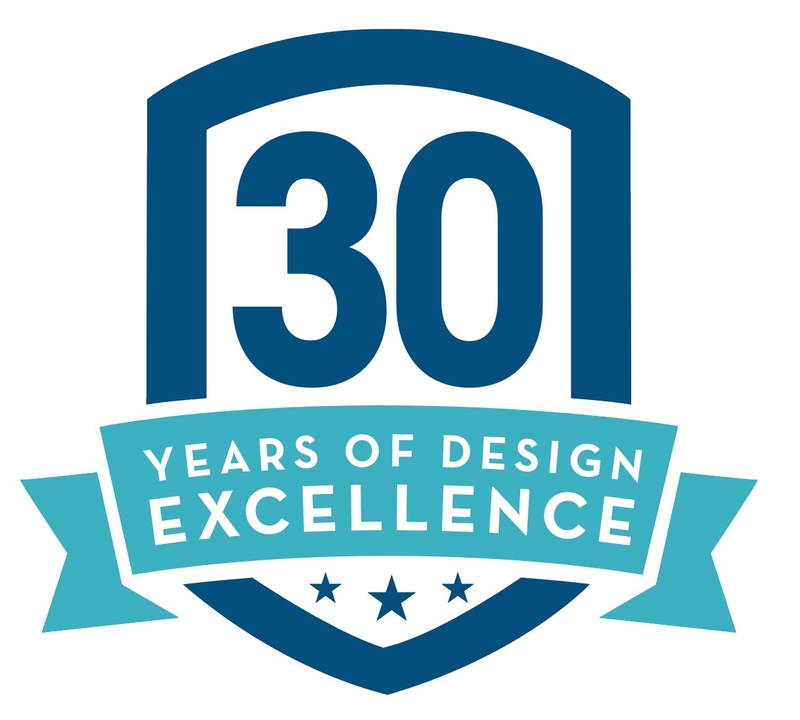 We bring you the commitment to quality customer care of a local business, with the expertise and knowledge of an international design & build firm. 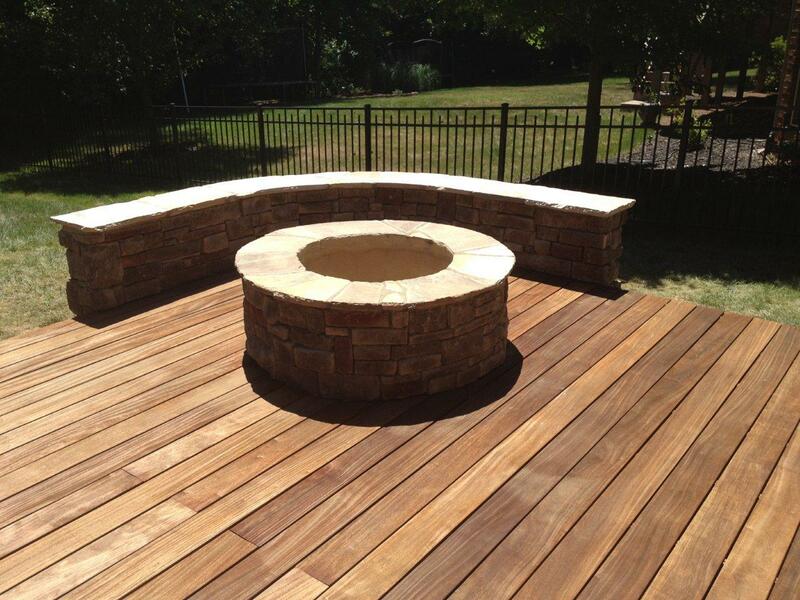 We’ve built thousands of decks all around the Charlotte metro area and look forward to building thousands more. Building a deck is not as simple as it used to be. With advances in engineering and design, plus improvements in synthetic decking, there is an increased variety of material options. Choosing your decking material and color is the first decision, but there are many more. You must choose the size and shape of the deck, location of the stairs and the railing type and color. To help you through these complicated choices we will use your property & lifestyle as a guide to advise you with our many years of experience. The personal service you get with Archadeck, a custom design & build firm, is top notch from the first call until well after post construction clean up. Read below for more information on all of the considerations you need to take when planning your deck addition in Charlotte. Low-maintenance decking will never have to be stained or sealed, but it will need occasional cleaning. Synthetic decking won’t split, crack or warp. Design versatility is a huge advantage of synthetic decking. For instance, synthetic decking can be bent and molded for stunning curved picture framing, winding inlays, and intricate patterns and designs throughout your deck. Low-maintenance suppliers provide extensive warranties, giving you piece of mind. With this much information to consider, we’ll help you weigh the cost versus the benefits to decide which decking material will work best for your home & lifestyle. At Archadeck of Charlotte we love the Trex Transcends lineup. Trex Transcends offers a natural wood grain pattern and texture so you can get that natural look you want and the low-maintenance decking you need. Trex Transcends decking is fade, stain, scratch and mold resistant with no sanding, staining or sealing required. Soap and water provide an easy clean-up, you won’t even need your power washer. Trex backs up their quality with a 25 year Limited Residential Fade & Stain Warranty. Not only that, Trex Transcends are a green building option, made from 95% recycled materials. With synthetic decking quality and technology, naturally the choices in colors and styles have increased. Trex Transcends offers a large variety of beautiful natural looking colors. Client favorites include rich browns like Spiced Rum & Lava Rock and traditional browns like Tiki Torch. These rich brown tones offer a classic stained wood deck look with all of the benefits of synthetic decking. Cool grays like Island Mist & Gravel Path are beginning to pick up momentum as grays become more popular in interior design as well. It is worth noting, darker colors warm up more on sunny days while the lighter tones stay cooler in the sun. With that in mind, the lighter grays have an advantage for a deck that has little shade in the summer time. With those favorites and many more, you are sure to find the perfect Trex decking to compliment your home and match your needs and personal style. In addition to Trex’s high-quality gorgeous decking, Trex has recently come out with steel deck framing. Trex Elevations is engineered to withstand all outdoor elements for years long than wood. The added strength allows for fewer posts and more versatility in design. No warping, the surface will stay flat over time with zero sagging. With a Class 1A fire rating and no need to worry about termites or rotting, Trex Elevations puts safety at the forefront. We love Trex so much we’ve created a fantastic Trex YouTube playlist featuring even more information about Trex. Check out the full playlist to learn more about our favorite low-maintenance decking brand. Or view our most popular Trex video below. The traditional choice for deck building, wood is still a gorgeous and sturdy choice. We use pressure treated Southern Pine for most wood projects. We also offer Cedar, Redwood and even Mahogany or Teak. For more luxurious decking projects we might build a gorgeous Ipe deck or choose from other Brazilian hardwoods such as Tigerwood, Cumaru, Garapa or Massaranduba. Wood decks do require regular maintenance with stain or sealant. Depending on your property, if your deck is exposed to full sun most of the day or is under the cover of a heavily wooded lot, you may need more or less maintenance. 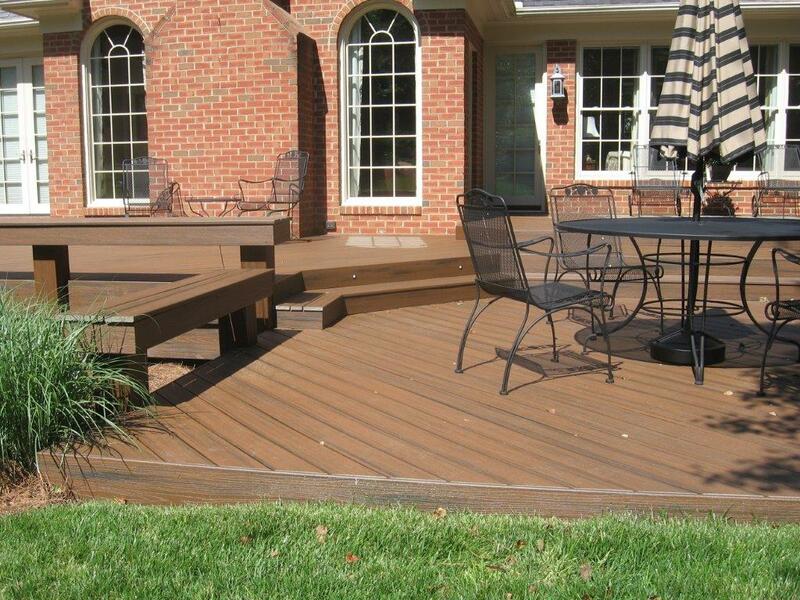 The versatility in finishes allows you to choose different stain colors each time to make your deck look brand new. 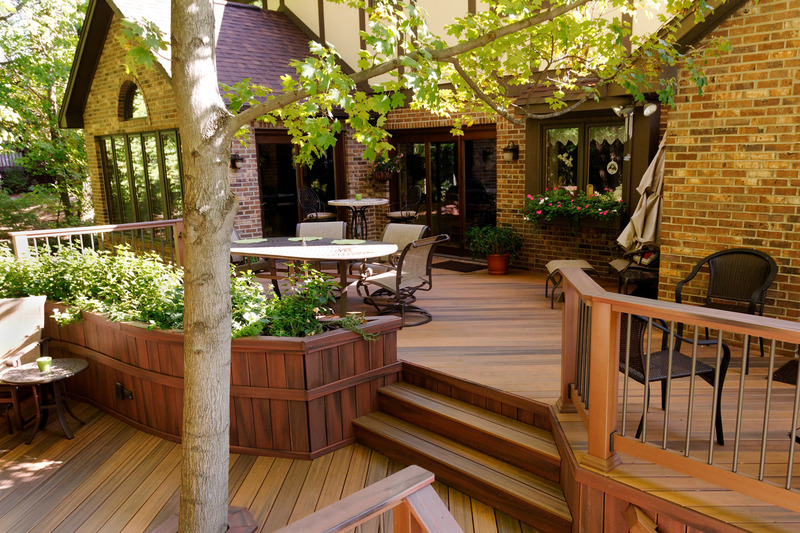 Your new deck design doesn’t end with choosing the type of decking you’d like. Customizing your deck means big design decisions in staircase position and style, railing color & type, skirting and custom design additions. 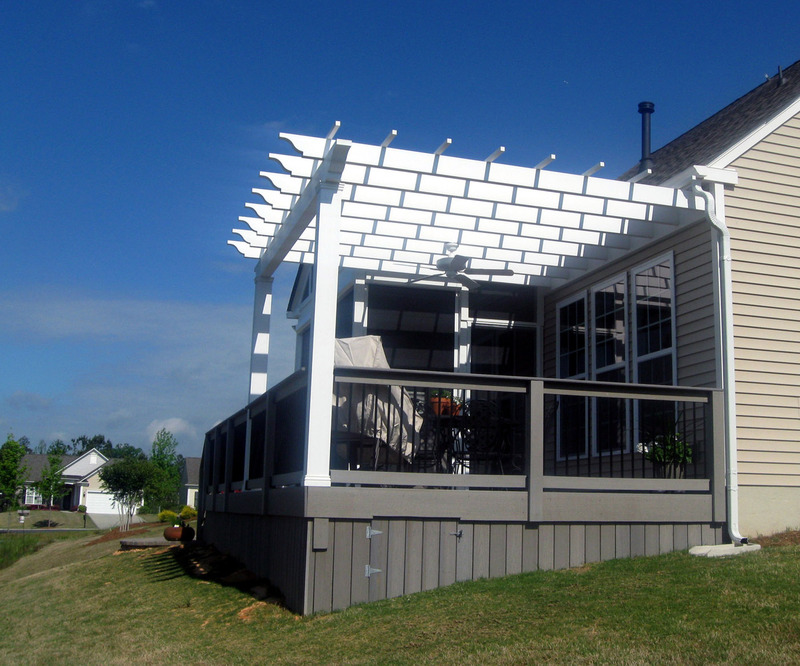 Add traditional lattice skirting to your elevated deck to hide the underside. Choose a wide fanning staircase that opens to your large backyard or create two smaller staircases on each side for easy access to multiple areas on your property. For a unique custom design, we can add picture framing, parting boards & custom inlays. Probably the hardest choice to make will be your railings. Railing choices are endless and can have a huge effect on the final look of your deck. With brands such as Deckorators and Fortress offering materials such as iron, aluminum, metal, cable and glass, traditional wood railings are being chosen less frequently. Don’t forget the large choice of accessories for your new deck. Add tread lights and post lights for nighttime entertaining. We can build custom planters, benches and privacy walls. Add a retractable awning for shade when you want it. Or build a pergola for partial shade and definition of spaces. 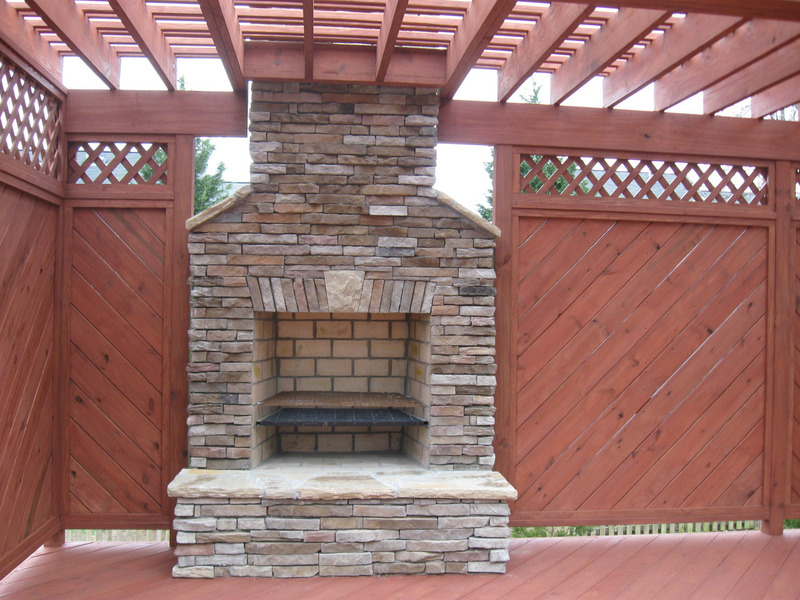 For added functionality & comfort we can even build an outdoor kitchen, firepit or fireplace right on your new deck. Archadeck of Charlotte is here to help you build the deck of your dreams with features you couldn’t dream of. Is a deck the only outdoor living space you need? Sometimes our clients opt for additional outdoor living areas to create a multi-faceted outdoor space. Add a stone or paver patio landing for a grill or additional dining table. Building a patio around the pool and a screen porch that overlooks it is a great option for watching the kids swim. We can build decks outside an upper-level master suite for a morning coffee retreat or a spa deck with privacy wall for your hot tub area. Whatever your outdoor living needs, we will work with you on creating a space that meets or exceeds your desired lifestyle. Click here to read some of our customer reviews.